Researchers of Unit 5 of NANBIOSIS, in collaboration with colleagues from the University of Montpellier, have laid the groundwork for faster advances in 3D printing for regenerative medicine by creating a system of ink and matrices that offers a solid basis for tissue regeneration. 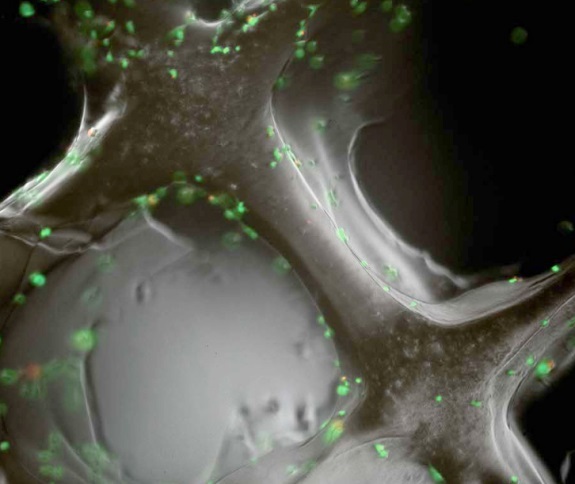 Due to their high water content, hydrogels are highly attractive biomaterials for 3D printing as efficient ‘surrogates’ for the extracellular matrix, onto which cells can be cultured. However, while they are relatively easy to produce using a method called extrusion printing, their stability and structural integrity can weaken when they’re in contact with biological fluids or extracellular matrices. The Biomaterials for Regenerative Therapies group’s new method uses a hybrid bioink that doesn’t need any photochemical or organic reagent and which safe for use in vivo. Using a versatile and biocompatible method called sol-gel, this bioink can be used to print a peptide-functionalized hydrogel. It’s the first time sol-gel has been used for hydrogel inks, as all examples combining sol-gel and 3D printing have so far dealt either with inorganic constructs or with extrusion printing under nonbiocompatible conditions. The new matrices work better than current ones because, as well as being biocompatible, certain essential processes such as hydrolysis occur during the printing process, resulting in a much stronger and more reliable structure. The researchers, who worked in collaboration with colleagues in France, were able to successfully seed them with mesenchymal stem cells, and are now looking at the possibility of encapsulating cells within the hybrid ink so that seeding can take place during the construction process. As well as producing a stronger matrix, the combination of sol-gel chemistry and 3D printing means that the new method could be a promising way to quickly produce an unlimited number of customized, cell-laden, biocompatible structures. Not only that, but using several different hybrid bioinks could open the way to making multilayer and non-homogeneous biomaterials, mimicking the complexity of natural tissues even more closely. The 3D scaffold fabrication was performed using the facilities of the platform of Production of Biomaterials and Biomolecules of the ICTS “NANBIOSIS”, more specifically by the U5 Unit of the CIBER in Bioengineering, Biomaterials & Nanomedicine (CIBER-BBN) at the Institute for Bioengineering of Catalonia (IBEC). 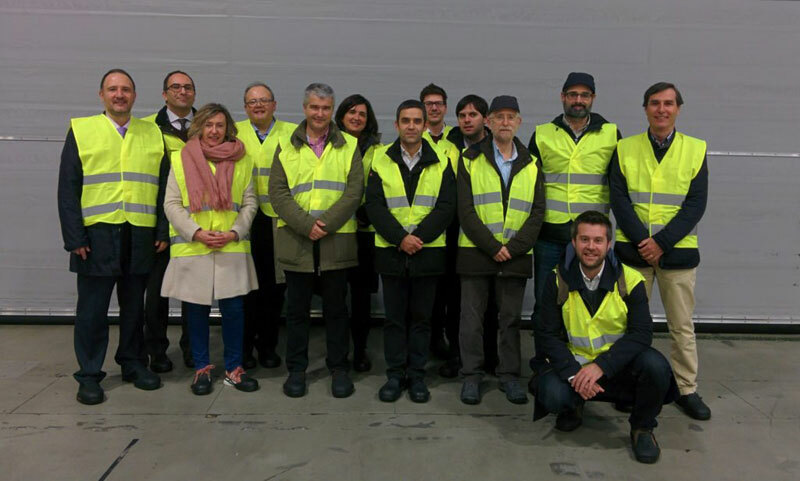 Echalier, R. Levato, M. A. Mateos-Timoneda, O. Castaño, S. Déjean, X. Garric, C. Pinese, D. Noel, E. Engel, J. Martinez, A. Mehdi & G. Subra (2017). Modular bioink for 3D printing of biocompatible hydrogels: sol–gel polymerization of hybrid peptides and polymers. RSC Adv., 2017, 7, 12231-12235. Estefanía Peña, Scientific Coordinator of Unit 13 of NANBIOSIS explains her resarch in the program “En route with science” of Aragon Television. Bioengineering consists in the application of the principles of engineering to the field of medicine. 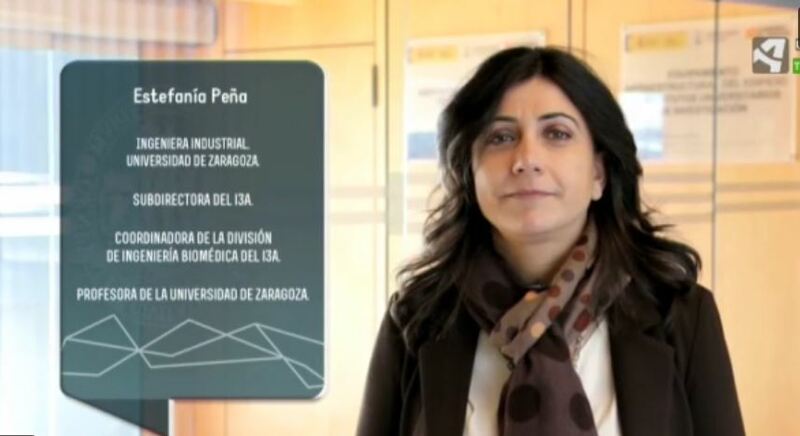 In the opinion of Estefanía, coordinator of the Division of Biomedical Engineering and deputy director of I3A (Institute of Research in Engineering of Aragon) Bioingineering is being strengthened in Spain. 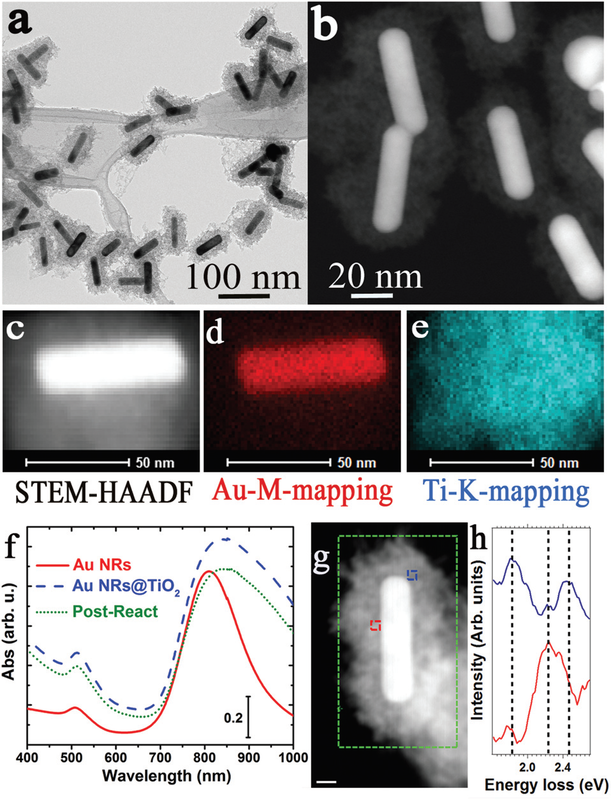 New communication in the Journal Nanoscale, from the Royal Society of Chemistry by NFP Group, coordinator of Unit 9 of NANBIOSIS. 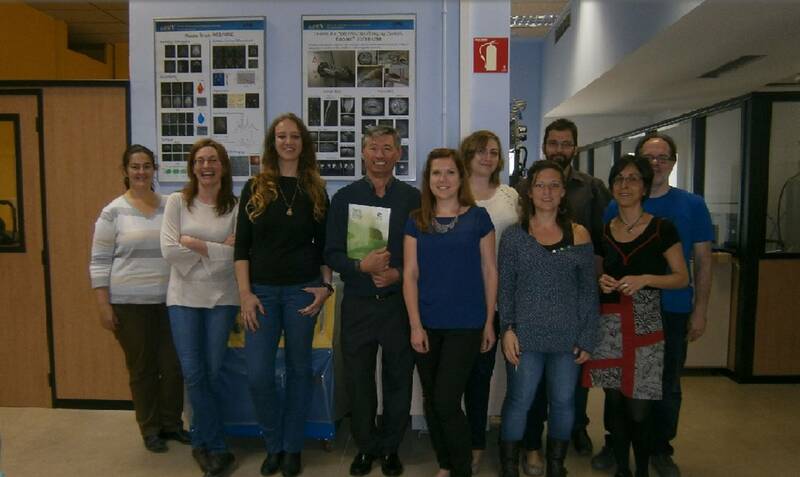 Jesús Santamaría, Scientific Director of Unit 9 of NANBIOSIS together with other authors of the Nanostructured Films and Particles (NFP) Group, coordinator of Unit 9 of NANBIOSIS, has published on February 7, 2017, a Communication in the Journal Nanoscale, from the Royal Society of Chemistry. The syntheses of materials during the research have been performed by the Platform of Production of Biomaterials and Nanoparticles of the NANBIOSIS ICTS, more specifically by the Nanoparticle Synthesis Unit, as stated in the publication. The Nanobiocel Group, coordinator of Unit 10 of NANBIOSIS participate in a public-private collaborative project to reach clinical application in the regeneration of osteochondral lesions, which mainly affect the knee and ankle joints. The new project is funded by the Challenges-Collaboration program of the Ministry of Economy, Industry and Competitiveness. 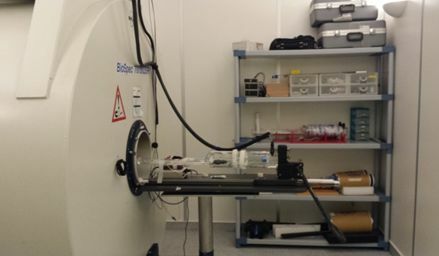 It has a budget of 691,000 euros for 3 years and the participation of two Spanish companies (Bioibérica and REGEMAT3D), the Higher Council for Scientific Research (CSIC), the University of Granada, the Center for Biomedical Research in Network Bioengineering, Biomaterials and Nanomedicine (CIBER -BBN) and its ICTS NANBIOSIS. The companies and research groups participating in this project will work in the manufacture of three-dimensional mesh pieces or scaffolding designed with 3D bio-printing systems. These pieces will be fed with cells that make it possible to generate tissues in vitro to regenerate lesions. The ultimate goal is the development of new bio-inks (in which meshes and cells are combined) that are implanted in bone and cartilage. In addition, the high prevalence of joint injuries makes them very interesting as the first application of bio-printing, with a view to its use in clinical practice”, Explains Patricia Gálvez, director of the Advanced Therapies Unit of Bioibérica, the coordinating company of this project. The company REGEMAT3D has developed a system of devices for bio-pioneering worldwide. This system, intended for research groups in its initial version, allows bio-printing three-dimensional meshes loaded with various cell types (chondrocytes and mesenchymal stem cells) for the regeneration of cartilage. This type of fabric has a number of advantages compared to others because of its relative simplicity, and above all because it is not necessary that a previous cultivation has been carried out. From the scientific point of view, there are several improvements to be made in the area of ​​3D bio-printing to make this technology so promising can be used in the clinic with guarantees of success. It is necessary to develop new biomaterials for meshes that mimic biological materials with similar mechanical and chemical properties. These biomaterials have to be printable and their parameters have to be controllable. It is also necessary to access a well characterized and reproducible source of cells to feed these pieces that can be obtained in large quantities to be able to repair wide areas of tissue. For this task, they have joined forces REGEMAT3D, Bioibérica, the Nanobiocel Group of CIBER-BBN, coordinator of Unit 10 of NANBIOSIS, the research group CTS-205 of the Department of Pharmacy and Pharmaceutical Technology and the research group CTS-963 of Advanced Therapies: Differentiation, Regeneration and Cancer, both belonging to the University of Granada and the Biomaterials Group of the Polymer Science and Technology Institute of CSIC, also belonging to CIBER-BBN. All these companies and research groups contribute with their know how in bio-printing to the development of pharmaceutical products for the treatment of joint injuries, cellular therapies and biomaterials, in a way that constitutes a multidisciplinary consortium with wide guarantees of success. The group Biosensors and bio-analytic applications, led by Laura Lechuga,​ coordinator of Unit 4 of NANBIOSIS, has developed a methodology through a nano-photonic sensor (known as bimodal waveguide interferometer) capable of quantifying, directly and mark-free, the different messenger RNA isoforms generated by alternative splicing. The expertise in biodeposition and biodetection systems of Lechuga’s group has permitted a thorough analytical study and optimization of the methodology, achieving not only total selectivity, but also excellent levels of sensitivity and reproducibility, and obtaining the lowest levels of detection in direct detection of messenger RNA isoforms generated by this mechanism without the need for PCR amplification (polymerase chain reaction). The results of the study have recently been published in Scientific Reports (of the Nature group) and show a new methodology for the analysis of alternative splicing processes in a fast, simple and direct way, overcoming the main problems of conventional techniques. In addition, it opens the possibility of developing more efficient tools for the diagnosis and monitoring of therapy, providing a more informative, specific and precise analysis. Analysis of alternative splicing events for cancer diagnosis using a multiplexing nanophotonic biosensor. Scientific Reports 7, Article number: 41368 (2017) doi:10.1038/srep41368. The STAFF III database was acquired during 1995–96 at Charleston Area Medical Center (WV, USA) where single prolonged balloon inflation had been introduced to achieve optimal results of percutaneous transluminal coronary angiography (PTCA) procedures, replacing the typical series of brief inflations. The lead investigator Dr. Stafford Warren designed the study protocol together with Dr. Galen Wagner at Duke University Medical Center (Durham, NC, USA); Dr. Michael Ringborn (Blekinge Hospital, Karlskrona, Sweden) was responsible for data acquisition. 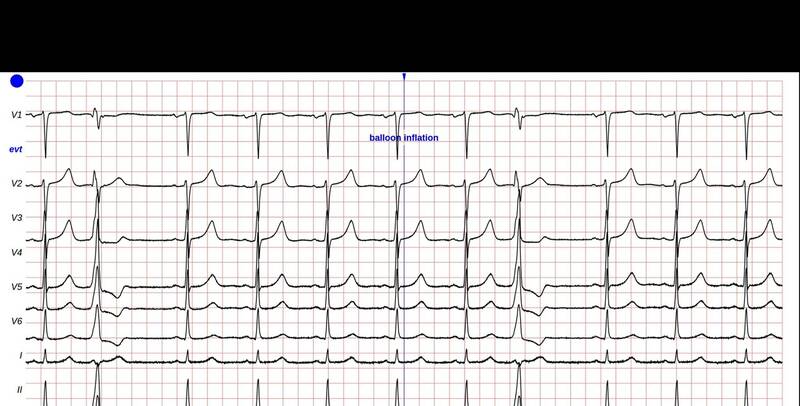 The database consists of ECG recordings from 104 patients, accounting for substantial inter-patient variability in reaction to prolonged balloon inflation as well as variability of heart rhythm and waveform morphology. Only patients receiving elective PTCA in one of the major coronary arteries were included. Patients suffering from ventricular tachycardia, undergoing an emergency procedure, or demonstrating signal loss during acquisition, were excluded. Since its acquisition, the STAFF III Database has been distributed by Prof. Leif Sörnmo (Lund University, Sweden), responsible for the acquisition equipment and software. The use of the STAFF III database has broadened considerably over the years, with importance for several other research problems than high-frequency ECG analysis. Although the original study protocol of the database was designed to address a set of clinical issues, the database has turned out to be highly valuable also for developing, improving, and evaluating a wide range of signal processing techniques. This database has prompted methodological development in many areas related to ischemia, see the review by Laguna and Sörnmo (2014), were the use of high performance computing platforms as NANBIOSYS are used for the analysis.